Ben in South Africa: Well done bokke! They did it! 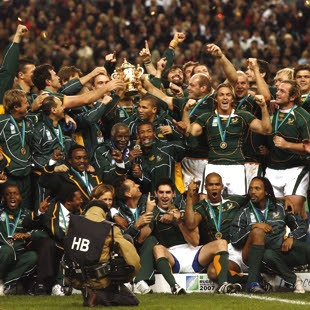 After 8 weeks of an exciting tournament in France which gripped the whole nation the Springboks proved to be the best of the 20 teams and deservedly won the Rugby world cup 2007! After the Saturday's victory over a better than expected playing English side in the final, gold and green celebrations lasted the whole night in the streets of Joburg and everywhere else in South Africa.